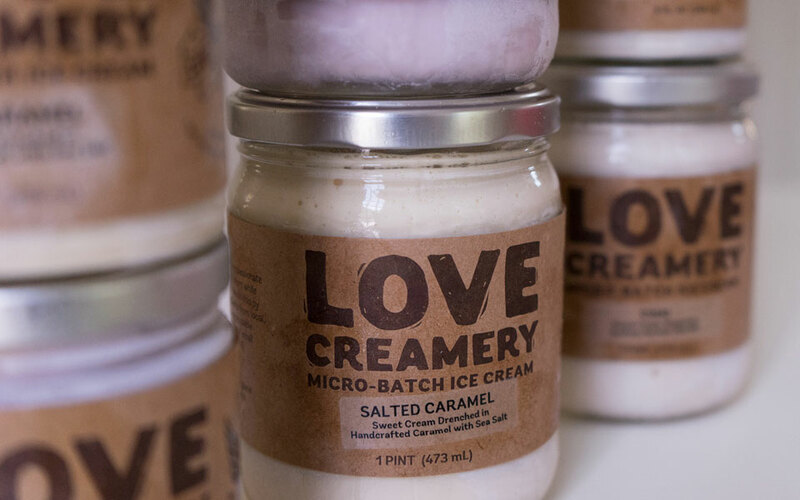 Love Creamery wanted to expand beyond the cart and into the dessert aisle. The only problem? 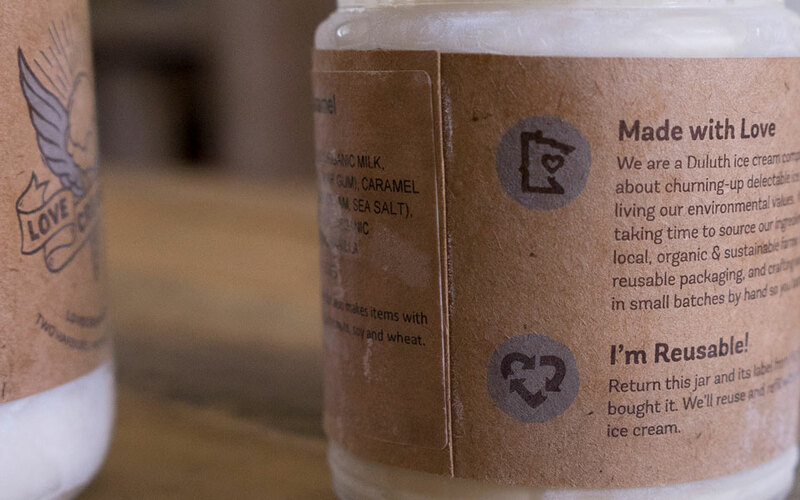 The original woodcut-inspired logo was hard to reproduce on packaging. 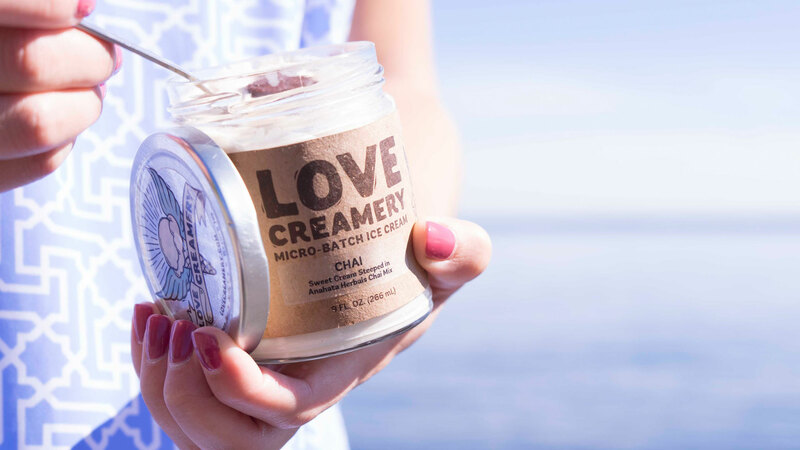 Enter Swim, logo refresher and packaging refiners. 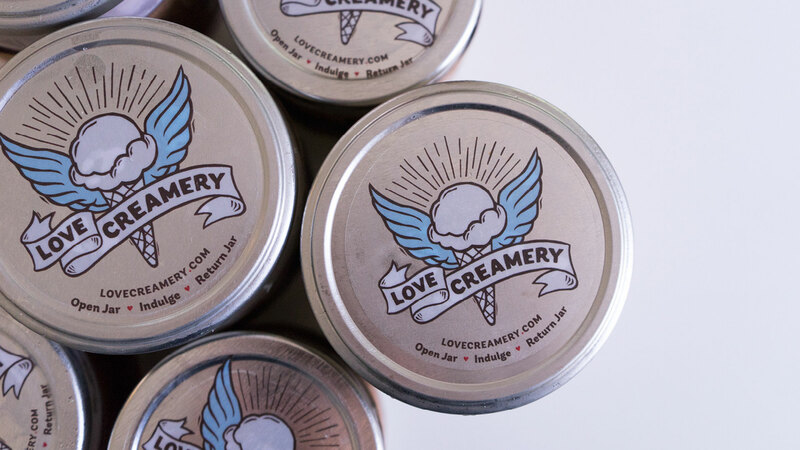 Working with Nicole, the mind and ice cream maker behind Love Creamery, The Swim Team worked to retain the original hand-rendered feel that made the logo unique but simplified the artwork so it could be recognized from afar.